With all the current international conversations about global warming, carbon footprints and other environmental concerns, the question may arise as to what exactly does it mean to be carbon neutral? It simply refers to a source of energy that releases absolutely no additional carbon back into the atmosphere. This does not mean the source's exhaust contains no carbon; it means that what is released is no more than what was consumed in the first place. Over the past several decades, more and more concern has been expressed about the amount of carbon being released by power plants, industries involved in manufacturing, vehicles and various other sources. It is said these high releases of carbon from previous years are major contributors to global warming. The effects of global warming on the earth are significant and will cause impacts both today and in the future. 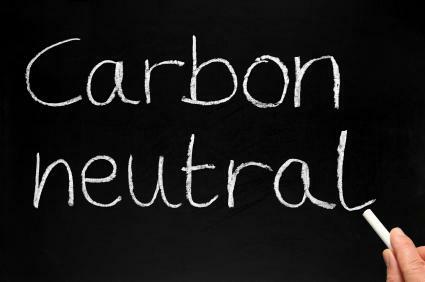 While there is a very clear definition what carbon neutral is, there are other, more liberal interpretations of the term. Various special interest groups attempt to utilize the term in such a way that a company is carbon neutral if it maintains an equal balance between the carbon dioxide released into the air as a result of energy produced from burning fossil fuels and the renewable energy sources utilized to create useful energy. This compensates for the carbon release into the atmosphere. Another way the term is applied refers to what is also called a post-carbon economy. This would apply to any company or power plant that uses only renewable energies to create new energy that never release any carbon dioxide into the air. One other way the term is used is to describe the use of carbon offsetting. This is when a company that normally releases carbon dioxide into the environment pays others to perform services that would help to offset their damage to the atmosphere. Some projects funded by these types of companies include the planting of trees and other conservation projects intended to help the atmosphere. There are many ways a company or an individual can follow to start down the path to being carbon neutral. The first three that come to mind are to limit energy usage and emissions, obtain power from renewable energy sources and offset emissions with other efforts. Limit energy usage and emissions: The simplest way to do this is to decrease your use of motorized transportation. You can help the environment directly by walking, riding a bicycle, driving a hybrid vehicle that has low emissions or utilizing public transportation. Additionally, you can attempt to live "greener" by choosing housing, work and other appliances that are energy savers. Obtain cleaner electricity: One way you can do this is to create your own energy by installing solar panels, choosing an energy provider that is "green" or by utilizing biofuels for your energy or heat production. Offset emissions with other efforts: There are some emissions that simply can't be avoided. However, you can help offset those by planting trees or participating in other carbon projects. Another option is to purchase carbon credits. There are many companies internationally that claim to provide carbon neutral certification for companies and industries. However, the standards are rarely consistent and differ widely. The World Resource Institute requires that all direct emissions to be decreased and balanced. Conversely, many corporations enforce policies that include both direct and indirect emissions. There are many opportunities for companies to help the environment in the future. Obtaining a true carbon neutral status is something that the entire global community should strive toward. In order to preserve the globe's health for future generations, efforts must be taken now. Education is the first step to understanding how best to help and what mandates to follow. While small efforts may seem futile at first, they will make a significant difference if followed by many.